(Natural News) Using plants like cannabis (marijuana) and mitragyna speciosa (kratom) to support your health is considered “evil” by the U.S. Food and Drug Administration (FDA). But this same federal regulatory body sees absolutely no problem with extracting “fresh” body parts from aborted human babies and injecting their tissue into “humanized mice” in order to create artificial “human immune systems” in rodents. “Fresh human tissues are required for implantation into severely immune-compromised mice to create chimeric animals that have a human immune system,” the notice adds further. 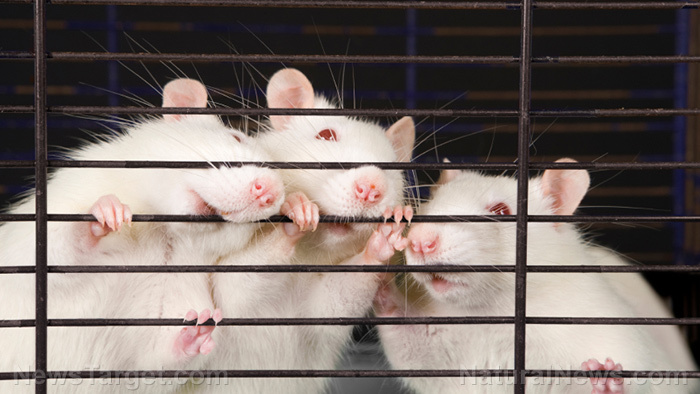 What does creating rodent-human “mutants” have to do with protecting public health? The dictionary definition of a chimera, by the way, is an organism that contains “at least two different sets of DNA” – in essence, a genetically-modified (GMO) mutant animal, of sorts, that exists nowhere in nature. A chimera can also refer to a mythological “monster” that contains two or three species in one. Think Mr. Tumnus from The Chronicles of Narnia, or some kind of half-fruit fly, half-Bt corn monstrosity. It’s Frankenstein’s monster being manufactured on the world stage, and it’s what the FDA seems to be where it’s focusing a large amount of public resources these days – even as the FDA openly condemns natural healing plants that actually support human health and longevity. Is this really the best use of taxpayer dollars, especially considering the ethical and moral implications of not only creating new, unnatural species, but also using aborted human babies to accomplish such feats. According to the FDA, the only type of human tissue that works for this chimeric research is aborted human baby tissue. The agency claims that tissue collected from miscarriages, for instance, won’t work (for whatever reason) – which means that demand for aborted human babies is only going to increase as a result of the FDA’s actions. “…by issuing a contract to acquire human fetal tissue to use in making mice with human immune systems, the FDA is using federal tax dollars to create a demand for human body parts that must be taken from babies who are aborted,” writes Terence P. Jeffrey for CNSNews.com. For more news about the corrupt FDA, be sure to check out FDA.news.